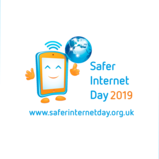 Safer Internet Day (SID) is an annual, worldwide event will be held on Tuesday 5 February 2019 to help encourage a better internet. This year's theme is 'Together for a better internet' and encourages individuals to create a better internet by developing four, critical skills. Find out about educational resource and how you can spread the word by visiting their website. 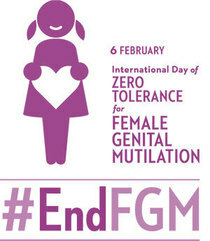 International Day of Zero Tolerance for Female Genital Mutilation is a United Nations-sponsored annual awareness day as part of the UN's efforts to eradicate female genital mutilation. This year it takes place on 6 February. Find out more about how you can support the day. The Independent Inquiry into Child Sexual Abuse (IICSA) has launched an awareness campaign to ensure victims and survivors of child sexual abuse in England and Wales have the opportunity to be heard at the Truth Project. The campaign includes a TV advertisement and social media activity and runs until the end of February 2019. Read more on NSPCC Learning on protecting children from sexual abuse. A consistent understanding and application of the continuum of need and thresholds. A shared understanding of the progress made around Early Help and Prevention and the integrated Front Door.